Is it weird that I have more than one floral kimono? I got this pretty one as a birthday gift! We found a Brandy Melville store while we were walking around in Hawaii and I decided that was where I wanted to pick out my birthday present! 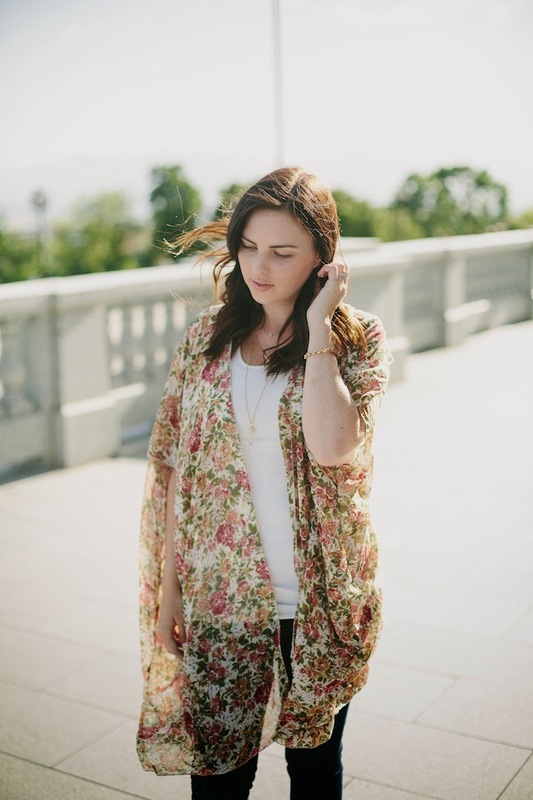 I got this gorgeous kimono and a perfect, summery dress. I already had a kimono with a floral print, but this one was so different looking and I totally still wear both. I can't help that I love them! 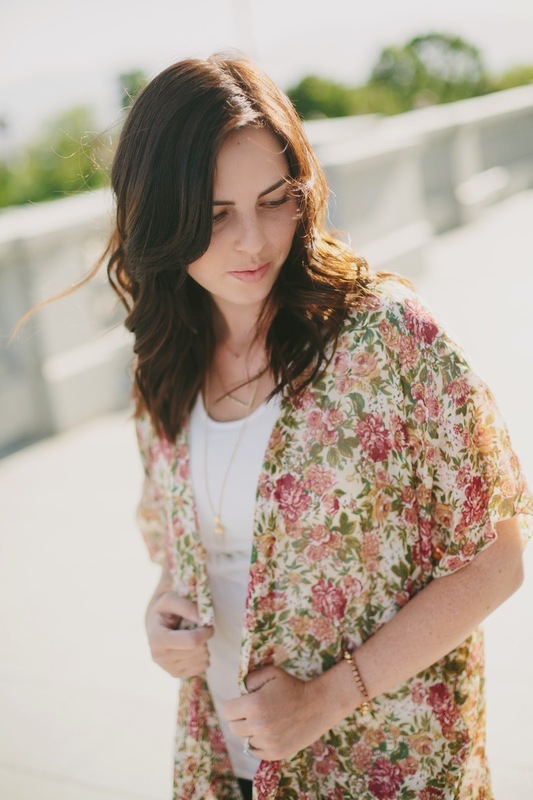 And I keep seeing other floral kimonos that I'm in love with. it's taking a lot of willpower not to buy ALL THE FLORAL KIMONOS. 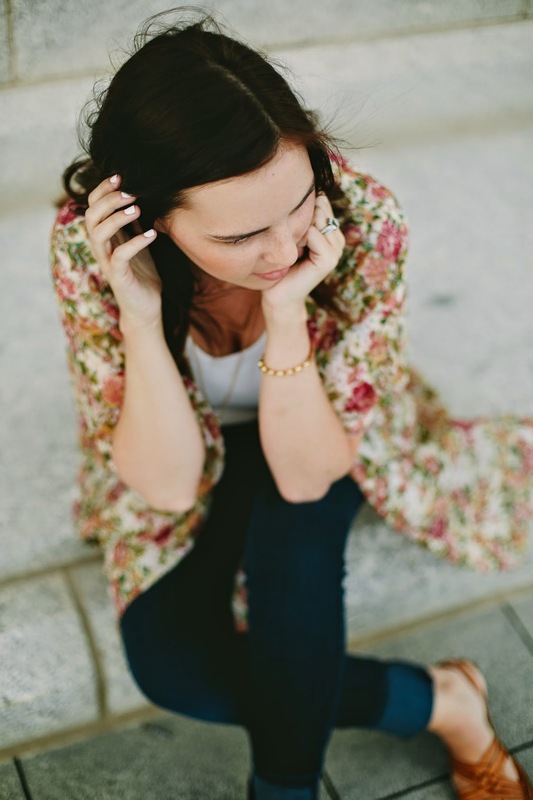 My husband does a great job of taking the photos I usually post, but he doesn't actually love doing it... he just loves me so he does it :) Kailey loves what she does and definitely has an eye for photography so it's nice to have some extra pretty pictures every once in a while. 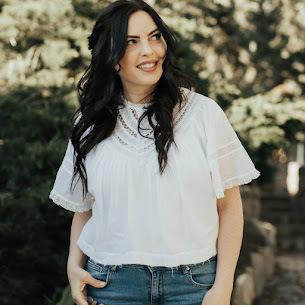 Hope you're all having a fab day, and don't forget about the $100 Nordstrom giveaway going on right now! Very pretty. Love it styled with the tank and jeans. 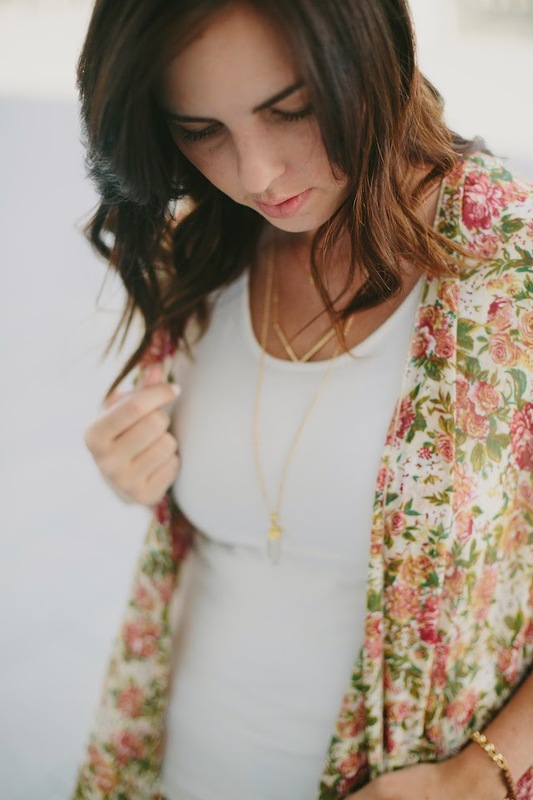 that kimono is gorgeous and I especially love your layered necklaces! 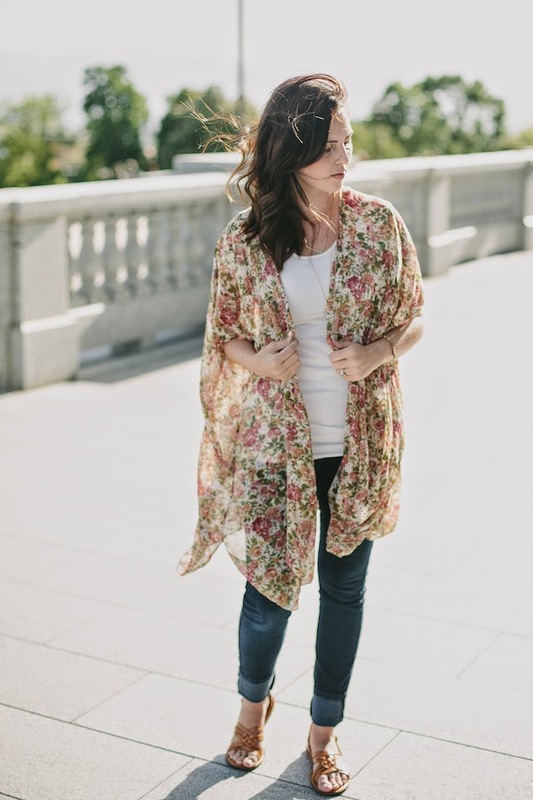 Love this gorgeous floral kimono! OH those sandals are so cute! I love kimonos and love that one! 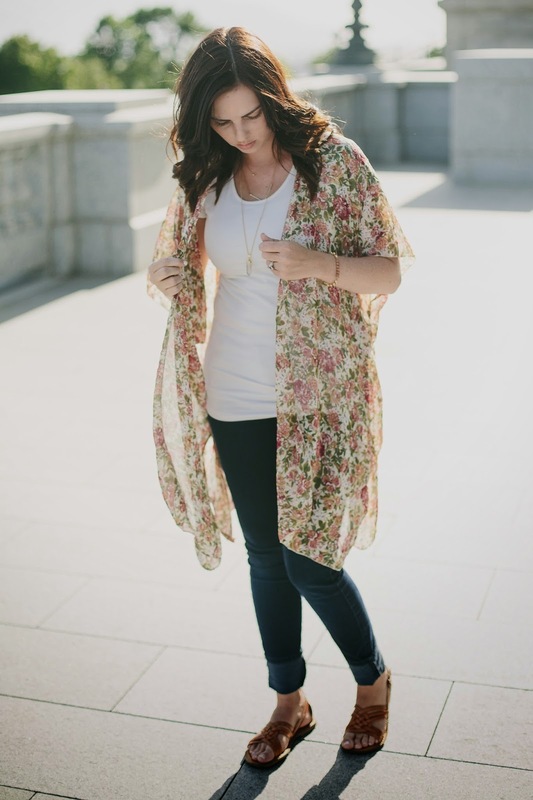 I love your kimono, perfect for Summer and it looks great over a vest and jeans. Great sandals too! Oh, that kimono! I'm pinning this. 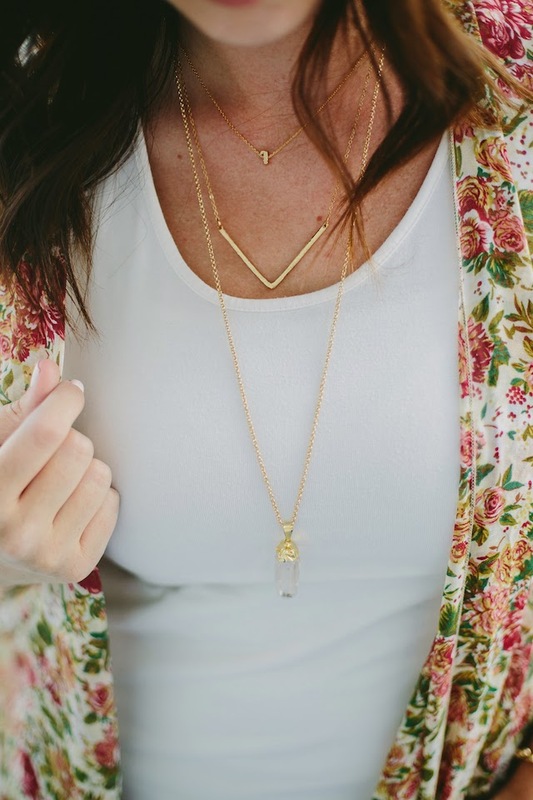 I adore how you've layered the necklaces! This kimono is pretty fab too!